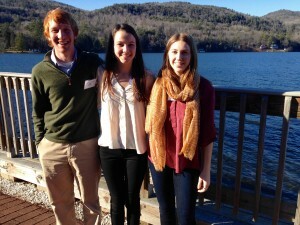 Students Nat Blackford, Archer Newell, and Katie Chamberlain presented their work on the innovation Community Energy Dashboard at the Vermont Energy and Climate Action Network’s annual conference at the Lake Morey Inn and Resort. Their session focused on assisting Vermont’s grassroots energy committees in building our clean energy future from the ground up. Their final report can be read here.